B2J Social Sharer : Share the Joomla content on Social Network. This stunning plugin will help you engage more visitors and share your word across the web. 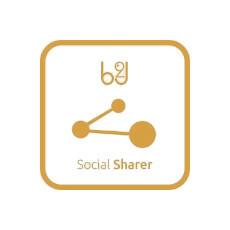 B2J Social Sharer Plugin is a Joomla! plugin that displays Facebook, LinkedIn, Twitter, Google+, Pinterest and e-mail share buttons. Each button in this plugin is super custom with great parameters to choose!